Jin has over twelve years of experience in Marketing and the Asian show business. 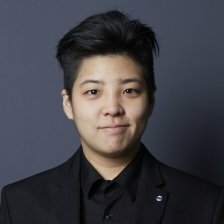 Over the years she has worked on the development of numerous marketing strategies and promotional plans for top 20 companies around the world.Well-experienced with both the traditional and digital media, Jin thinks blockchain is the next big thing. She believes in the power blockchain technology for all kinds of industries such as retail, publishing or even the music business. But more importantly, she believes Maxonrow will be the answer to our needs in today’s world.